There has been a decent amount of talk lately about a Dave Ramsey column, found here (the image is from here). While the first couple of paragraphs are fine, in the end he basically tells the Wall Street protestors that they’re thieves and that they should grow up and get a job. There are a couple doozies before that, however. The “Wall Street is Evil!” paragraph is complete incoherence, especially, so check it out if either 1) you need a good laugh to get you going this morning or 2) you need an example of what not to write if you’re looking to obtain some semblance of respectability. Perhaps that's too harsh, but those who know Wall Street the best usually despise it the most (see here, for example). I’m not going to go through the column’s mistakes piece by piece, cause I don’t have the patience and you probably don’t care. BUT, it is worth pointing out what we can and can’t accept as truth (or something even resembling it) from one of the most famous guys in radio. 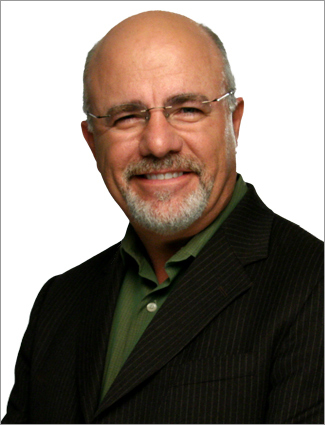 For the uninitiated, Dave Ramsey is a personal finance guru on radio stations across the country. He’s kind of like your amiable uncle, in contrast to the Suze Orman “busybody mother-in-law” counterpart, as this post put it. His show is based around his 7 point “Baby Steps” plan, which tells you to do things like pay off your credit cards, and save money for an emergency, before investing (which is steps 4 and 7). The show focuses around motivating people to pay down debt and live beneath their means (both worthwhile things, of course). And if this were all the show did, then I would have no issue. After getting out of credit card debt, Ramsey advocates that people “Invest 15% of household income into Roth IRAs and pre-tax retirement.” On that face of it, that’s not bad, besides the fact that younger people don’t have to save as much as someone starting late. But, he can’t just repeat these bullet points ad infinitum, so his advice derails when he goes into detail. For example, he recommends people use his “Endorsed Local Providers” program, which refers people to (among insurance and real estate sevices) commission-based brokers to help you with your investment needs. While it sounds innocuous, this is actually awful advice. Not only is it unwise to invest with a broker who earns money from commissions (because they’ll usually sell you what makes them the most money), but Dave also gets a kick back for the referral. If you need someone to invest your money for you, please go to a fee-only advisor, as they don’t have the same conflict of interest. From his Invstment FAQ page, there are a couple of other obvious problems (and I’m guessing this is the same spiel he gives on the radio). First, he says that loaded mutual funds are just as good as no load funds, which is flatly false. This advice aligns well with his recommendation of commission-based brokers, as the mutual fund load is often how they make their money. Do not pay a load. Ever. Also from the FAQ, he says that investors have seen stock market returns on average of ~12% per year, when adjusted for inflation. This is false—the real number (after inflation, in the US) is closer to 6-7%. He seems to extrapolate this into the future promising people 10-12% returns, which is also a fairy tale. See here and here for a more sobering account of stock market returns. He also discourages people from buying bonds, citing the fact that Enron once issued a bond. Apparently he forgets that you can also buy them from the government. Treasury bonds (TIPS especially), whether in a mutual fund or individually, are typically a great investment for people nearing (or in) retirement. Telling people in retirement to have a 100% stock portfolio is egregious coming from someone claiming to look out for your best interest. Perhaps the second worst investing error Dave makes is underplaying the impact of mutual fund expenses. He says it doesn’t matter much, but it is actually key to keeping your money out of the hands of the mutual fund company you invest with. This, this, or this book will explain the why and the how. I don’t really feel like piling on and telling you why his column was lame, but that was the reason for the post. To begin, he doesn’t appear to have any idea what problems the country is currently facing. Sure, some people occupying Wall Street are deadbeats. Every movement has some. But, if you read this tumblr blog, you’ll see their gripes are mostly the same ones that we’ve all dealt with the past few years. 1) Health care is unaffordable and people with the greatest need (e.g., pre-existing conditions) are often excluded from coverage. Relatedly, when one loses their job, health care coverage for a family is inordinately expensive, and obviously a lot of people have recently been unemployed. 2) Tuition is rising much faster than inflation and is becoming unaffordable without hefty loans. A corollary is that wages for people with degrees have actually been decreasing the past few years. 3) Wall Street crashed the economy and was quickly back to it’s usual money-making self (partly based on rent-extraction and made possible by government bailouts) while there are ~25m people un- or underemployed in this country. Near the end Dave simply tells the protestors to get a job. Has he seen the change in unemployment rate over time? Does he just think that it simply moves with peoples’ desire to work? Check Dave out if you're in credit card debt, but if you're looking to invest or learn about the economy, then look elsewhere. We'll try (to be more positive!) and make clear where exactly one should turn in future posts. Health care should not be tied to employment. After living in Europe for 3 years, I am convinced that paying more in taxes is worth the peace of mind that you wont lose your house and all that you have worked for if you have a debilitating illness or accident. Plus cutting out the middlemen (insurance), lower rates of frivolous lawsuits and a different look at medicals schools and how to pay doctors makes everything a lot more simple and saves money. That being said, I am not sure that universal health care would be very efficient on the national level, but on a state level it can and should be implemented. We are already paying for the poor to go to emergency rooms for free. The rich have everything that they could want or need. It's always the middle class that pays the taxes and gets no benefits in return. Good points. I love your international perspective. A lot of people would benefit from the kind of experience you guys are having. I love the idea of decoupling health insurance from one's job. Have you had much experience using the health system over there? Have they provided a decent amount for what you've paid?